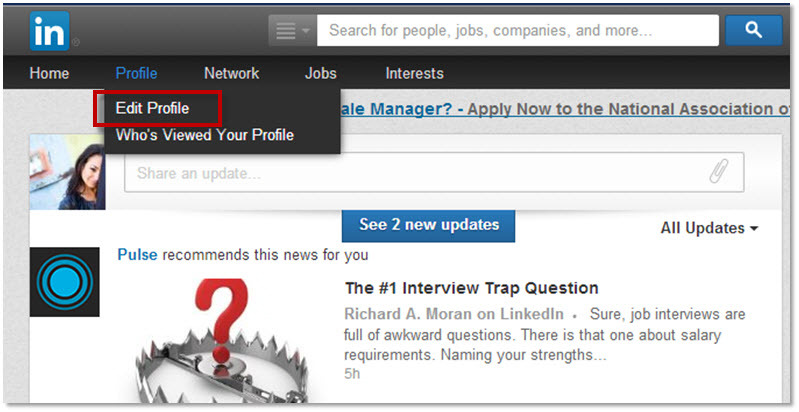 The one thing I’ve learned since my first version of my LinkedIn profile is headlines matter. Headlines create the first impression for visitors and can help distinguish you from the crowd. I started out by always having my current job title as my headline. However, it wasn’t memorable and didn’t start conversations. So I started looking at my personal brand and learned that the headline is how I can make the best impression. It’s a personal value proposition in less than 150 characters. Here are some examples of professional headlines. The good headlines convert attention into interest by telling you with minimal characters what a person does and why you should contact them. Click the Edit icon to the left of your current headline, below your name at the top of the profile. 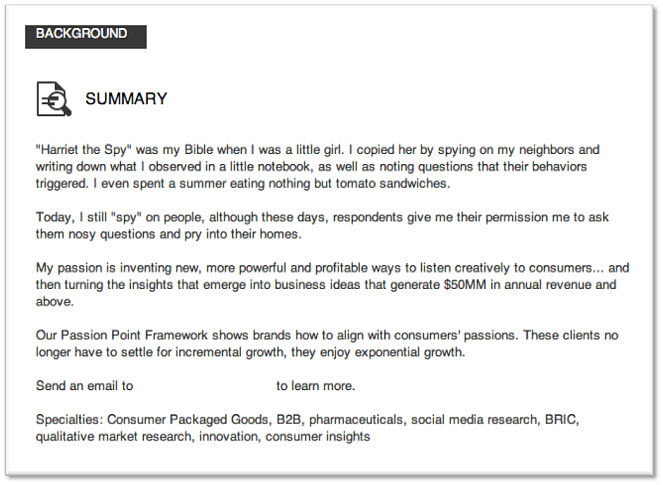 The summary is also part of your value proposition. This is your opportunity to establish who you are, what you are passionate about and what you have accomplished to your visitors in 2,000 characters or less. The fundamental value proposition question is: If I’m your ideal prospect, why should I buy from you rather than any of your competitors? In this section, you want to seamlessly connect the dots for your visitors. For these purposes, let’s turn it around and make it fit this experience. The biggest key here is you want to talk to visitors using a conversational tone that connects with them. Talk about yourself in the same way you would if I’m standing next to you. Allow the conversation to be easy to understand and interpret. I want to read your summary and not have to put on my detective cap. Click the Edit icon to the right of your current summary. 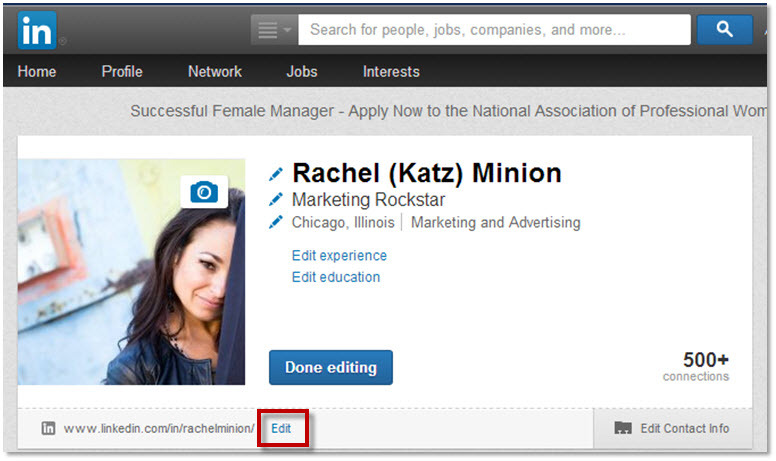 A great LinkedIn profile is only complete with a professional looking photo. As Flint McGlaughlin, Managing Director, MECLABS, frequently says, people buy from people. If we take this at the purest form, a good picture not only helps to establish your brand, but it helps to personalize your story. 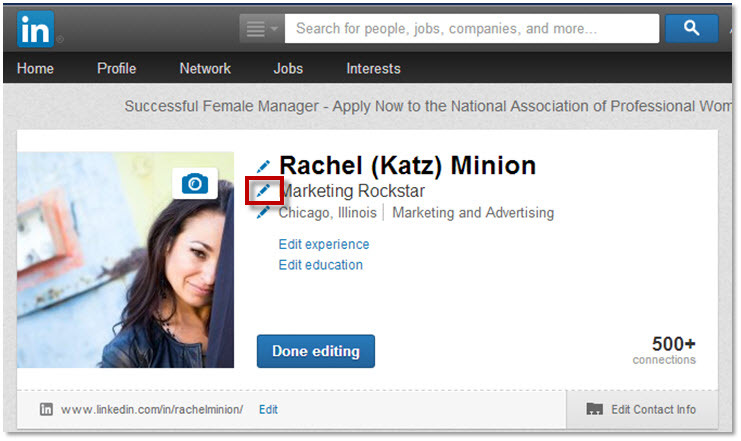 You could have the best LinkedIn profile, but without the picture, your profile will feel incomplete and impersonal. Having the best picture possible helps establish your professional credibility in alignment with your brand. If you are artsy, you can have an artsy picture of yourself. If you are a photographer, you could have an image with a camera up to one eye. If you are a dog walker, you could have a picture that includes a dog. If you have trouble finding a good picture of yourself, don’t worry. There are resources that can help you capture the perfect photo. One last caveat – please do not include a selfie where a viewer can see your phone. 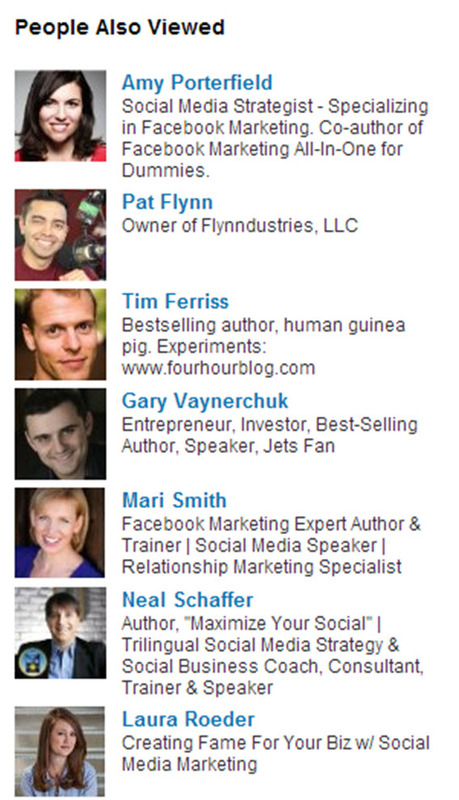 The goal for your LinkedIn photo should be professional and polished. Save the selfies for Instagram. All great tips – thanks, Rachel! Great tips, thank you! They really helped me! Great post. Many new marketer doesn’t know about that. This post really helpful for them.